Charlie Goodridge is a Realtor with an uncompromising attitude and high level of service. He'll walk you through every step of the process -- whether you're buying or selling a home. 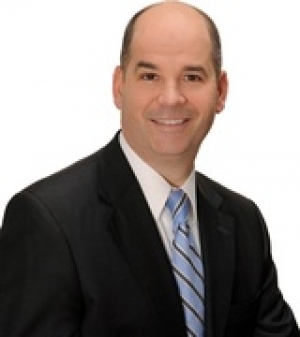 He's consistently one of the top 15 Realtors in New York's Capital Region and was named Rookie of the Year when he joined Prudential Manor homes in 2005. Charlie's straightforward, professional attitude and his strong work ethic ensure that he'll get the job done for you. With three children at home, Charlie understands families who seek the perfect place to settle down. He also knows that flexibility is crucial for house-hunting families, and he's able to accommodate many needs. Like his business partner, Jenny Mirling, Charlie loves calling Saratoga home. He's involved with local youth sports, and likes photography and renovating older homes. He moved a lot as a child and always thought city life was for him until he landed in Saratoga after his first child was born. Even with his friendly, outgoing manner, Charlie treats real estate as a business transaction and is a tough negotiator. Charlie came into the business after working as a fundraiser for Albany Medical Center, so you can be sure he has a good business sense. Charlie focuses on the Saratoga Springs residential market, including Schuylerville, Ballston Spa, Wilton and Gansevoort. Eighty percent of the homes he sells are within 15 minutes of downtown Saratoga Springs. And 90 percent of his clients are referrals and repeat business. Charlie is professionally coached through the Tom Ferry Real Estate Coaching program which helps him stay current with the latest trends and shares his knowledge with clients so they can stay up-to-date, too. Call Charlie today to work with a local Realtor who has his pulse on the market.